Since 1979, Family Equality has been working to advance lived and legal equality for LGBTQ families and those who wish to form them, and we’re continuing to build our field of dreams! We connect LGBTQ families, youth from those families, and prospective parents across the country. We educate by providing vital information about paths to parenthood. We advocate for lived and legal equality through state and national campaigns. We organize LGBTQ families, providing opportunities to speak out and take action. We’re ready to bring it on home for the families we serve. As a growing number of LGBTQ+ millennials are planning for their future families, Family Equality Council is ready to stand up and fight for the rights of loving families. 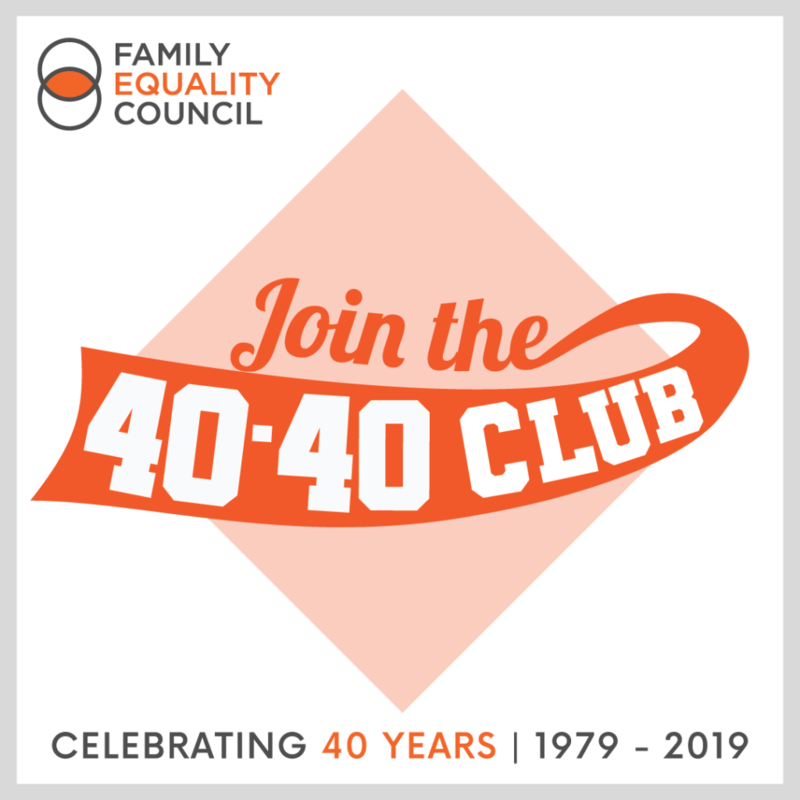 In our 40th anniversary year, we’re launching our own 40-40 club, gathering sustaining support to continue as heavy hitters in this field. Our goal is to raise $40,000 – and the 40th person to join this campaign will receive a special prize. Will you join the team today and help us hit this campaign outta the park?